Leaking fork seal is a very common problem in all KTM motorcycles available here in India. This is a common problem and can happen in any motorcycle but the fact that the KTM motorcycles have USD (Upside down) forks makes it even worse. If fork seal leak is not addressed in time full oil can be lost in the fork or it might get to a point where the suspension might not function properly. Oil in each fork is around 500ml. If the oil drops on the front disc break it will damage the break pads and breaks will not function. A typical fork seal change will set you back around 1300Rs it includes the labour charges, new seal and fork oil cost. Money might not be the problem for everyone but there is one more issue each time the fork is dissembled it results in unavoidable scratches on the black rib finish of the fork. If you take your motorcycle to service centre then the only option suggested to you by the service centre guys will be full seal replacement and I am talking out of my experience. A leaking seal does not always mean a seal is damaged. 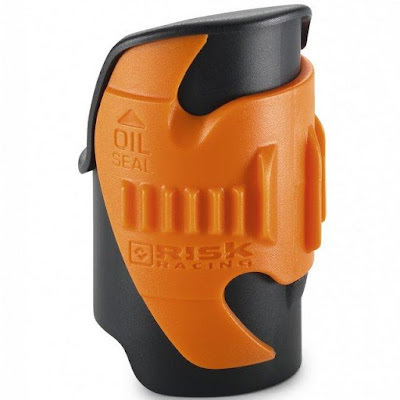 One of the major reasons of leaking seal is the small dirt or sand particles that get caught in between the seal and make a channel for the oil to come out. Fork seals on Duke and RC are covered under warranty for 10,000Km after that you are on your own. In the new motorcycles KTM has tried to somewhat address this problem by giving a cover around the front shocker to protect it. I would suggest everyone to try this simple fix, If it works then you can save your precious time and money. Having said that there are similar tools available which can fix this problem without changing the seal but not readily available here in India yet. This tool is made from a 500ml soft drink bottle (Sprite bottle). 500ml Sprite drink bottle has perfect curve which matches with the radius of the fork. Till now I have used this tool 2 times to successfully close the leak on the forks of my Duke 200. All you need to do is just cut the bottle in the shape as shown below. 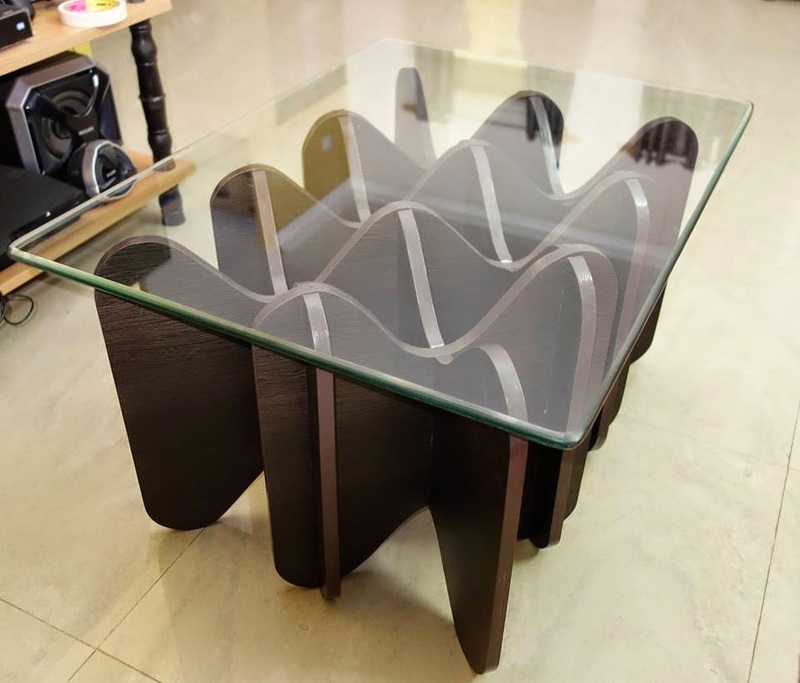 I would suggest you sketch first and then cut it also sand the surface using a sand paper to make it rough. Push the rubber fork guard down first, this rubber fork guard is standard on all new Dukes. Old models do not have these. By the way guys if you have the old Duke model it's better you get the rubber fork guard installed as it gives an additional layer of protection to the fork seal. 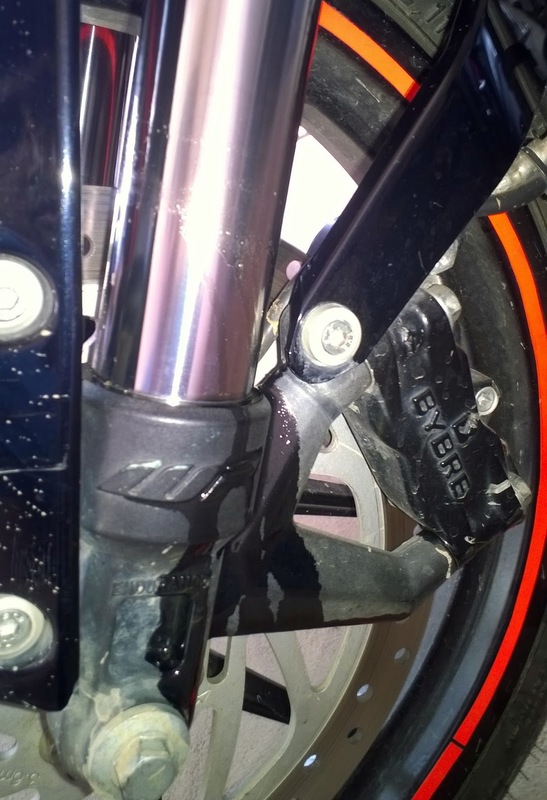 After this, push the second rubber guard down this rubber guard can be easily identified as it has a spring lock. Push it with the help of a screw driver, you can also refer to the image below. Be careful not to scratch the surface of the fork. The actual seal is inside the opening. Slide the cleaning tool about half inch inside the fork and start sliding the tool along the curve of the shocker. Some oil leak is normal during this process, If you observe excessive oil leak then slide back the tool little bit. Clean the oil from the fork with a cloth and pump the shocker by pressing the front break and pushing the motorcycle back and forth. 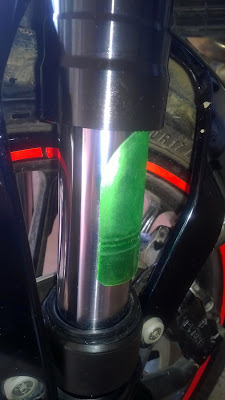 You will notice oil ring formation on the shocker after pumping the fork just wipe it with cloth and keep pumping. You may have to repeat the above steps few times till the leak stops. If after doing all this the leak is still there then the seal is already damaged and will need replacement. My Duke is now 6 year old. I have made it a habit of cleaning the fork with a micro fibre cloth every day in the morning before using the motorcycle. 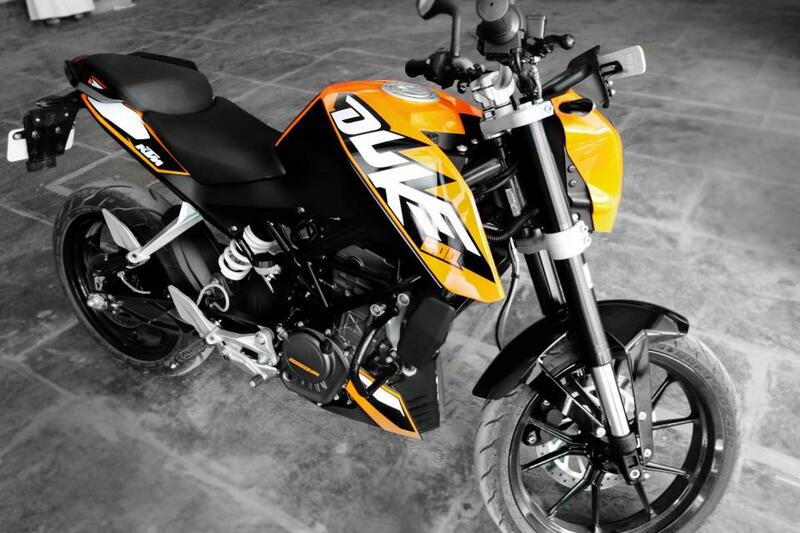 Duke 200 is a very powerful motorcycle in its class but it is a bit fragile and requires lot of care. 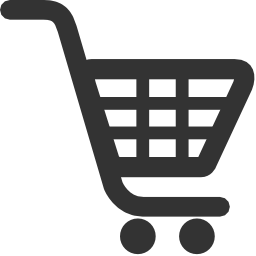 You can also order the ready made fork seal cleaner from our site. There are lot of videos on youtube explaining the process. Thanks for taking the time to explain this as it can be done with other models.